There's this fun new tactic from the left to stop people they don't like from speaking. 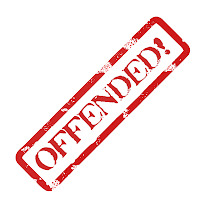 Inspired by Al Sharpton's success with the Don Imus non-incident, far-lefties have lengthened their motto from "I'm so offended" into the call to action "I'm so offended. Let's boycott his advertisers." It's a pretty simple plan. Take a public figure the person disagrees with and wait patiently for them to say something that can be used against them. Then pretend to be offended and threaten their advertisers with a boycott. It's basic political opportunism. This week it's Rush Limbaugh, who said that a central planning government made Haiti poor and vulnerable to natural disasters and our president is using the tragedy for political gain. The fake outrage camp sprouted up, and shifted gears and revamped when Limbaugh said that some relief programs are wasteful and that our tax dollars are already going to the same programs. Republicans are no shining stars either. Last week people were still talking about when Harry Reid said voters would respond to Obama because he's light skinned, a smooth talker and only sounds urban if he wants to. Some Republic congressmen declared Reid must resign his house seat because his comments were so offensive. "For my part, I am having a difficult time determining what it was that Mr. Reid said that was so offensive." "We are too quick to take offense about race when none was intended. Some are too anxious to manufacture outrage over matters that do not justify the attention that we give them." Connerly also said the same individual people who usually cry offense and will not accept apologies changed their tune when it was a Democrat caught in the trap. Today, the right is reminding us that disasters are not a time to throw money around with zero regard for how it's spent. In a parallel, it was a few years ago that the left reminded us that disasters are not a time to sacrifice our civil liberties with little regard. I don't see what's so offensive about either of these positions. Which brings us back to today, and why anyone would boycott a show they don't watch or listen to. 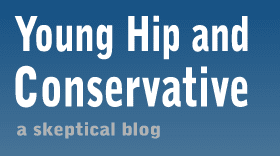 What this really comes down to is an attempt to silence intellectual opponents. Don Imus lost his talk show. People who don't like Glenn Beck of Rush Limbaugh are hoping the same thing will happen to them. It's not enough that they don't want to hear those commentators - they don't want anyone else to have the opportunity either. By all means, people should rail on, complain and criticize the opposition. Go for it, that's an important aspect of the free speech doctrine. It's when they try to silence people that it becomes grotesque.